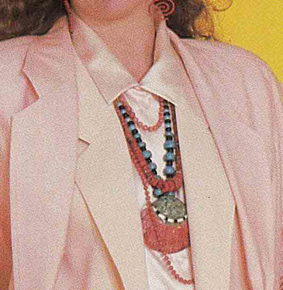 Here are links to my previous posts on speedy patterns. These were written nearly 2 years ago, and sadly some patterns are now oop. Here are the patterns I’ve found since then – patterns that the pattern companies claim only take 1 to 2 hours sewing time. There are 37 days of SWAP time left. Could you manage 10 minutes of sewing time a day ? or one day of concentrated sewing ? Surprising numbers of patterns to mention, so I’ve needed to expand this to several posts. This one on tops and dresses. 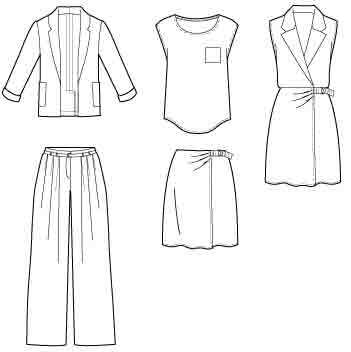 Plus links to some pattern ranges that don’t have specific timings but use very easy techniques, so presumably are quick to sew ! 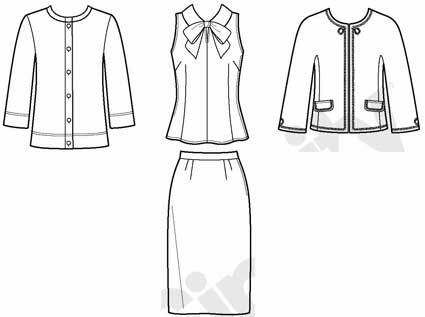 More planned on skirts, pants, vests, jackets, outerwear. 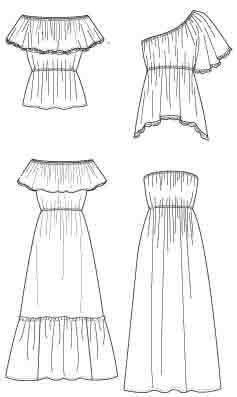 Many tops can of course be lengthened to dresses. 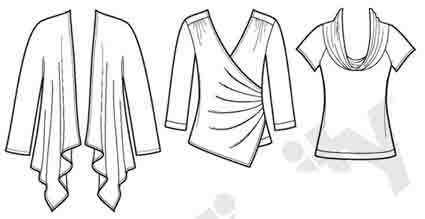 Butterick 5948 – basic classic dartless tops. New Look 6807 – 4 raglan sleeve options, knits. New Look 6892 – raglan ‘peasant’ style, many sleeve options, wovens. 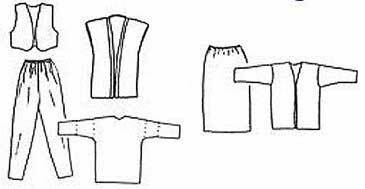 For a woven blouse/ shirt, there’s Silhouette patterns 600 Classic Blouse, which Peggy Sagers demonstrates sewing in an hour in her webcast. P.S. 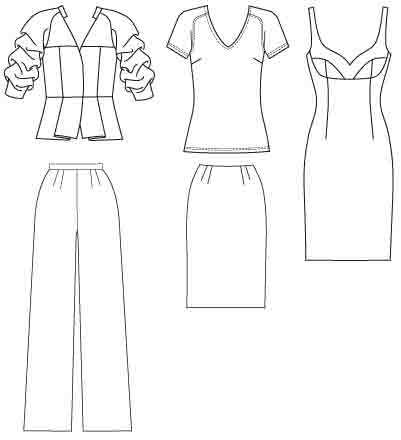 In an e-mail Peggy Sagers says these Silhouette patterns for knits can be made in an hour. Also 95 Brooke’s top for wovens. 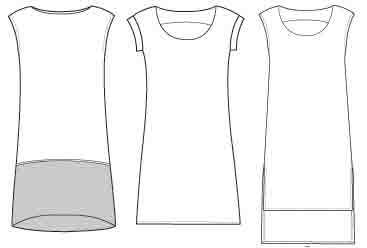 Not sure if the pattern companies think all these dress styles can be sewn in only two hours, or only the simplest versions ! 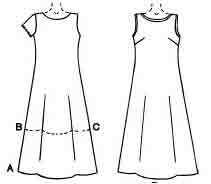 Many dress patterns can of course be shortened to tops. 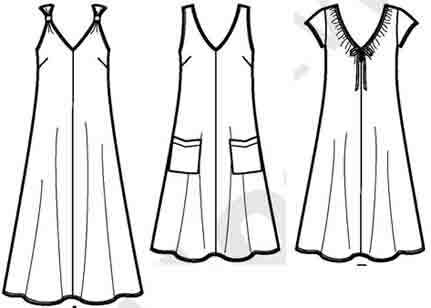 These are some new ones to add to my previous post on quick dresses. McCall’s 6551 shift with 2 necklines, 2 sleeves, 3 hems. 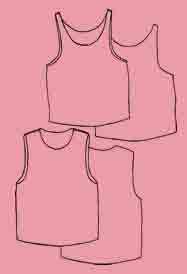 McCall’s 6074, gathered front, sleeveless, for knits. 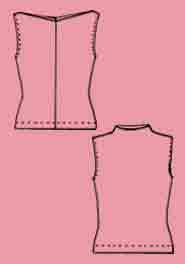 McCall’s 5893, empire bodice, short sleeve option, for knits. 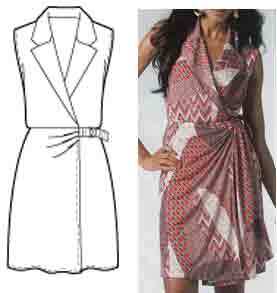 Butterick 5211, shift dress, short sleeves. McCall’s 9172, a-line, short sleeves. 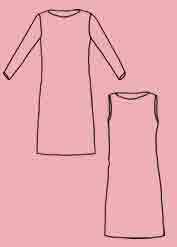 Some other pattern ranges offer an even wider selection of simply sewn styles, though they don’t make claims about sewing time. 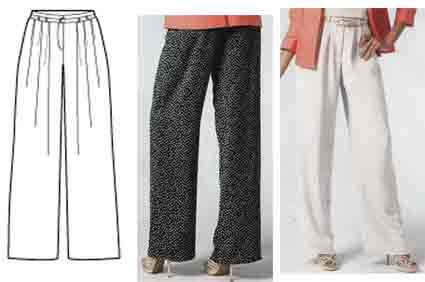 For softer current styles, see the Simplicity Sew Simple range (don’t appear to be available in the UK). If you like more ‘arty’ styles, there are Shapes patterns, some of which have only one or two main pattern pieces. 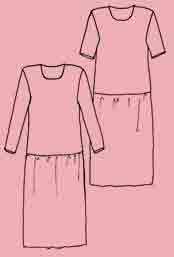 Textile Studio have some other patterns they say take 2-1/2 to 3 hours sewing time. 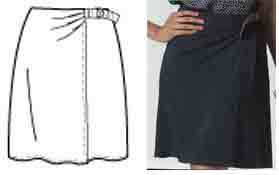 There are Simplicity ‘Learn to Sew‘ patterns. 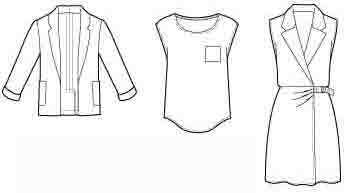 And some of the BMV patterns picked for their “Sew Cool in School” program look easy. 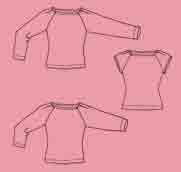 Also Kwik Sew Kwik Start patterns are well known for their clear instructions. A surprisingly large range of different possibilities. You won’t find a quick fitted style, as you need an opening to get into them. Which means buttonholes, zip, or wrap styling. Not speedy to do well.